Black Tie Violets for the holidays! I have to get out of the house and start shopping. I’m nearly ready for the holidays … I desperately need to do some retail therapy for myself. Did I mention Nordstrom’s is having their half-yearly clearance sale? Bonus – Clinique is having their gift with purchase sale! You know you love all those mini versions of Clinique products. I just saw one of the holiday sets called Black Tie Violets. The blush (in the middle in this photo) is shades of Tuxedo Plums that dust your face, neck and decolletage (love that word) with shades of pinks/plum. And the four eye shadows are scrumptious in the quad limited edition. There is also a cream eye liner in Violet Luxe that glides along the lashline. And, no it does not make your eyelashes grow a la Brooke Shields. Love love love these colors. They were made for me you know! I wasn’t shopping today until I came across (while cleaning out my email I’m innocent here I tell you) a blurb from Garnish (one of the best NE Alberta has to offer) about their 50% off silk sale. How can you not answer a 50% off silk sale? Excluding wedding dresses and slips of course. I actually was looking there last week at one of their slips to wear (under) something but not the entire under … something else for the wedding at the end of the month. If I an get away with only buying one dress for the summer wouldn’t that be cool since I don’t want to buy anything until I lose those 40 lbs. Speaking of those 40 lbs. though, did you know Garnish has many, many, many styles in XL? They have their completely own sizing theory which I don’t have memorized yet but then it’s like a wonderful surprise every time you visit there. I love it when not everyone demands that you become a size 6 in order to wear great fashion. Check out these two little black dresses. Garnish carries some of the best little black dresses you’ll set your baby blues on in PDX! New Sophie dresses, Amanda dresses and Nadine skirts. 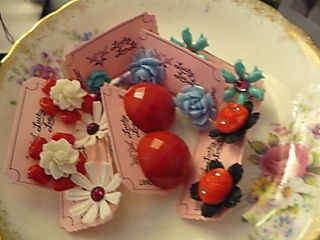 The latest newsletter btw besides 50% off silks is an announcement of some import! “You told us what you love and we listened. 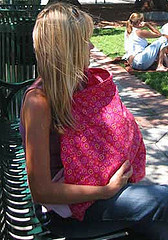 In response, we are making a run of our most popular dresss and skirts using our new organic cotton fabrics. 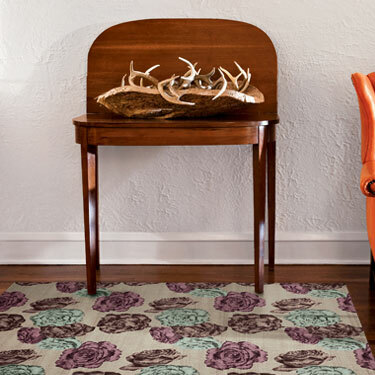 Available in split pea green, dark teal and brown,” according to owners Erica and Kate. Garnish. 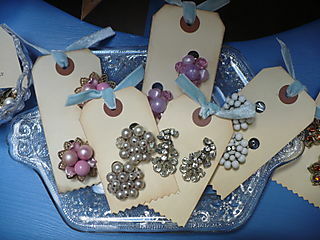 I love the whole idea of embellishment! Whopper Virgins … who knew? Yes I know. Kind of confusing. 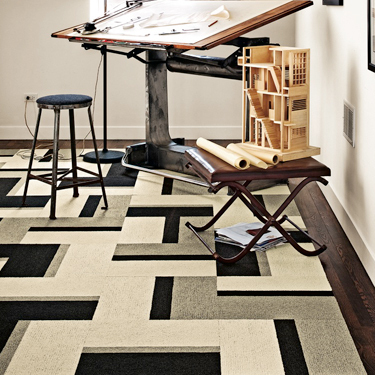 Have you seen the Flor carpet squares? I’ll drop in samples of the different varieties as we speak. tehe. Form and function. Well they’re not all squares. They came out in 2003 and I wrote about them at the time a couple of years ago, but they’re just expanded like craziness. And Martha’s stepped on board … you know “seen on Martha Stewart’s Show.” Or maybe she was already on board. 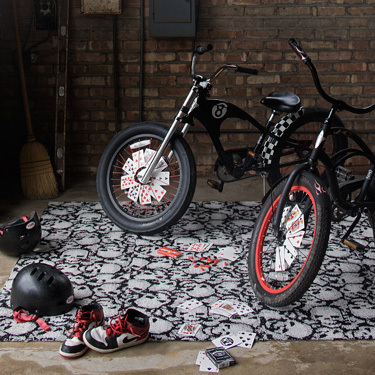 Launched in the spring of 2003 and based in Elmhurst, Illinois (just outside Chicago), FLOR is a line of design-inspired carpet squares for the home that lets you create unique area rugs, runners or wall-to-wall carpet designs quickly and easily. 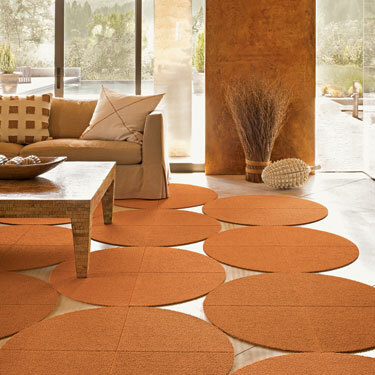 The company was founded on the idea that carpet could be fun, stylish, practical and responsible. 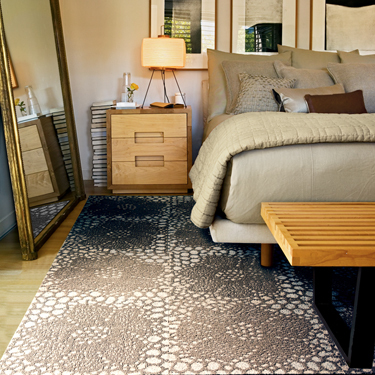 We think FLOR carpet tiles answer the call. 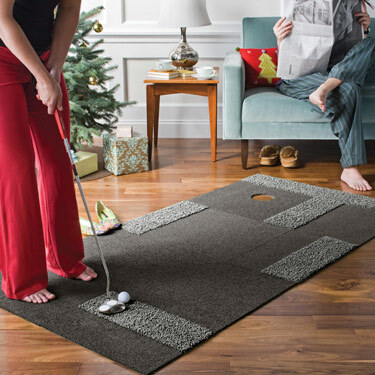 The modular design means you can customize FLOR to fit any size space, even the most difficult layout, and take FLOR with you wherever you go. 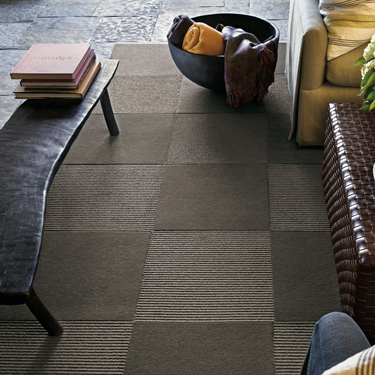 FLOR is also eco-friendly having some of the lowest Volatile Organic Compound emissions (VOCs) in the industry. 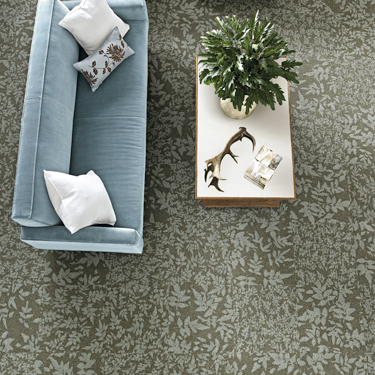 Plus, FLOR comes in a wide variety of colors, patterns and textures so it gives you freedom to create exactly the right design for your room and your style. Here’s another taste of the choices you’re going to be faced with. Remember with choice comes responsibility! Shop on. Poppy & Ivy We Love You! 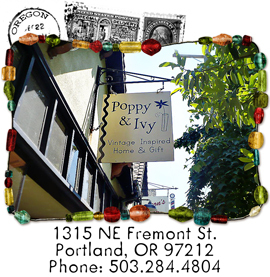 Just got a note from Amy Hollands at Poppy & Ivy on NE Fremont. She’s going to be open seven days a week! Now open Sundays and Mondays. Cool. It seems like it’s always Sunday afternoon when I’m on NE Fremont down there by Whole Foods and that restaurant on the corner that I can’t remember the name of but they have great breakfasts. Where do those words jaspitjand names go btw? 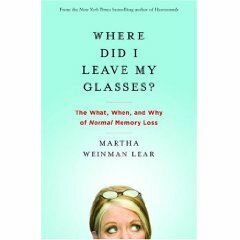 I’m reading a book right now called “Where did I leave my glasses” – it’s about memory … doh. First of all it made me feel better that I’m not the only one (doddering idiot) out there stumbling around not being able to remember why I went into a different room, not only where I left my glasses but where I put my car keys, newspaper, glass of water … just about anything I had in my hand and what the *h* I was doing when I started doing something else and switched. Crying out loud. 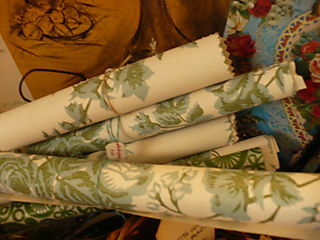 Anyhoo … Amy has some of the best vintage around – home decor, jewelry, cards, gifts, pictures. She has things like that little glass curved glass jar with the red top that cuts up nuts when you turn it upside down;cute little aprons, teacups that look like your mother’s and adorable little vintage doll dresses. 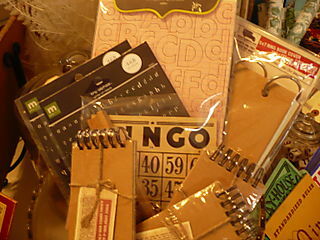 She also has new retro gifts and signs and collectibles like matchbox covers and game pieces. Here’s a little bit of what she carries. And if you love hilarity … check out her blog – she’s one of the funniest women I know. This Friday is Lower Fremont’s final 2nd Friday Art Walk & Sidewalk Sale. 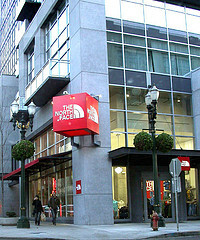 From 5-9 p.m. lower NE Fremont (15th NE), the stores will be open with additional discounts on all sale items. 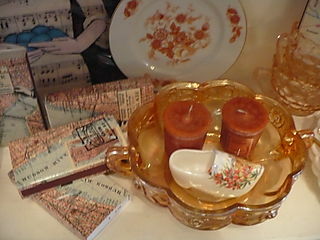 Here’s a few photos of some of her current offerings. Today and tomorrow – Dress For Success Benefit Used Clothing Sale at Acey’s Closed in the Hollywood neighborhood at the corner of NE Sandy and 37th (next door to the aforementioned store). Today 10-5 p.m. and tomorrow from 12-4. Meet me there! Suits are $25, Jacekts for $15 and blouses, pants and skirts are $10 each. No, this is not someone else’s seconds. The designer clothing includes Ann Taylor, St. John, R Lauren, Coach and Tahari. I love this organization. The non-profit does so much for women, the least of which is supplying disadvantaged women a suit to wear for critical job interviews. A shout out to them. Did you know Portland is on the 10 ten list … another one you query? Yes, indeedy. The Travel Blissful web site says it’s so. Walk More City Rankings rated the top most walkable neighborhoods in the top 40 US cities and Portland came in 10th! Number 1? San Francisco. Duh…. Seattle number 6. Yep. 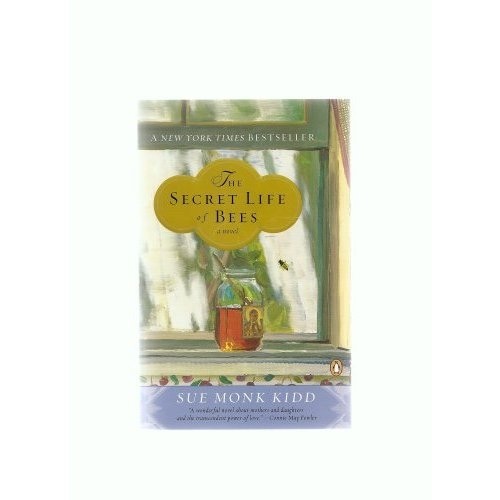 The Secret Life of Bees … Remember how good the book? Loved reading that book. It was one of those you wish would keeping going on for another 300 pages! The movie has Dakota Fanning and Queen Latifah. Comes out first week in October. The Queen has lost 20 lbs on Jenny Craig. You don’t say! Speaking of food and I was, wasn’t I? I like that New Seasons is locally owned. I also love their “shop online” option. AND they deliver for Pete’s sake If you want it delivered it’s $9.95 but you can pick it up at the store for $4.95. I tried it last spring and loved it! I just can’t justify it since I’m working from home now and have more free time. Guilt … yep raised Catholic. Rubbermaid is following me. On Twitter. What does that mean I wonder? I did go on their web page to look what they have these days. Who know they have closet organizers. I really want the fast track multipurpose hook. They’re out of stock. Heavy sigh. I did have to check out their closet organizers. Holy cow. 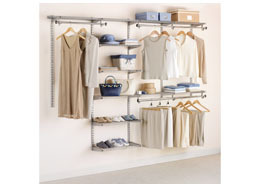 Could my closets really look like that? I need a professional organizer. No I don’t mean someone who just gives me advice. No, no, no my dear. Someone who will come to my house and HELP me! Did you watch THE debate last night? Well, we’ve all heard enough shall I be the first to say it? CRITICISM. Although I was suprised how well she did on her homework. My, my she must have had those pr primpers working overtime. I almost lost it when she did the omy gosh joe shmoe thing whatever it was. I wanted to puke. And the way he was smiling at her a couple of times! Get with it Mr. Biden. We saw how down and dirty you can get back in the day during the Watergate hearings. Remember he chaired that committee? Oh my god I am soooo old. I am tossing all my eggs in the “I’m counting on the intelligence of the American people” basket. Don’t fail me now.